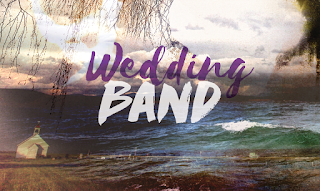 Our bloggers highly recommend Penumbra Theatre Company's production of Alice Childress's Wedding Band. Now through November 12. Go see it, friends! "But Penumbra's gorgeous production of the 1966 play Wedding Band by Alice Childress (whose Trouble in Mind was seen at the Guthrie last year) is not just a beautiful, complicated, and ultimately tragic love story. It's also (not unlike Trouble in Mind) a still timely work that speaks to the issues of race, racism, and privilege in ways that feel entirely relevant." "Wedding Band is a raw, gorgeously told story that is vital to understanding interracial relationships and the devastating heritage of America's racial sins. If you want to understand how we got here (and how we can fix it); if you need a look in the mirror to see your own flaws and tribulations; if you simply want to see a show with powerful, nuanced performances and gripping dialogue; then you must attend Wedding Band." "Wedding Band deals with a lot of heavy issues, but at heart is a story of ordinary people dealing with the harsh realities of their lives as best they can. And they are people worth spending two hours getting to know."